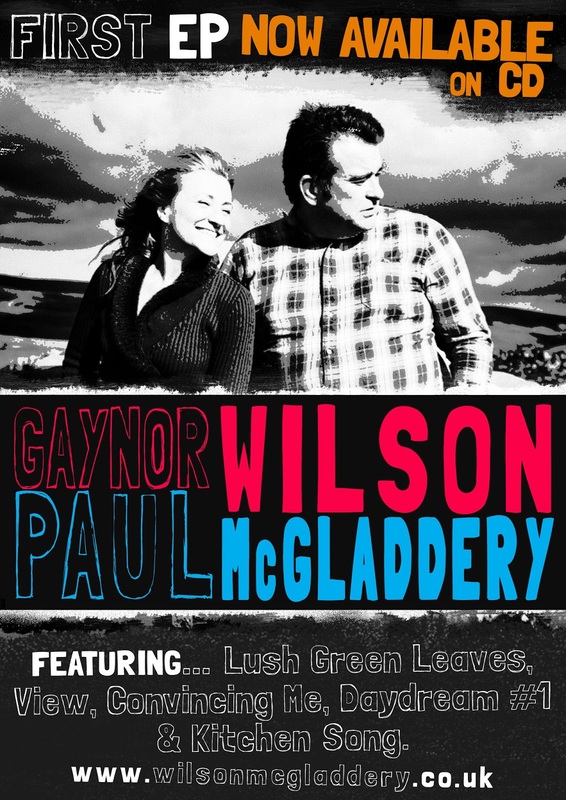 Gaynor Wilson & Paul McGladdery: First EP - Now Available on CD! First EP - Now Available on CD! Hurrah! We are launching our first EP this week with two gigs on Wednesday 9th September at the Cross Keys Folk Club, Uppermill and on Friday 11th September at the Marsh Blues and Folk Club, Huddersfield. We are grateful to both Jim Schofield of Cross Keys FC and our good friend Marcus Henfrey of Marsh B&FC for helping us pull this together. We are delighted with the recorded songs and we'd both like to acknowledge the hard work of Dave Mull and thank him for his brilliant production skills, musicianship and patience for putting up with us invading his precious Man Cave. The artwork is by Rosie Arnfield who has done a cracking job and we thank Rosie for her involvement and the original picture was taken by everyone's favourite, Michael Ashton. The EP is not yet available in a soft format, but it will be shortly or I'll fecking die trying!!! !